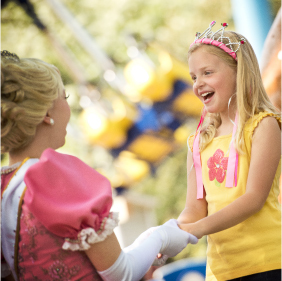 Thank you for choosing Dutch Wonderland as your place for family fun! We are looking forward to sharing many special moments with you this season. As a Dutch Wonderland Season Passholder, you’ll get more than just a summer full of rides, shows, and visits with the characters. You’ll also enjoy exclusive events, discounts, and more, to make the most of your season of family fun! Premium Season Passholder, enjoy these perks! Unlimited visits during the Summer Season, Happy Hauntings, and Dutch Winter Wonderland: Unlimited use of rides & shows during each event. Rides and shows subject to availability. Bring-a-Friend Discounts valid on one-day admission during the operating season. Free General Parking at Dutch Wonderland with a valid Premium Season Pass, presented at the parking booth. Passholders can park in the Preferred lot if space is available. Exclusive Season Passholder events during the summer season. Souvenir cup valid for $0.99 refills through the valid operating season. 15% OFF non-sale Food and Beverage items. Discount not valid on select vendors, Birthday Parties, and Character Breakfasts. Must show valid season pass at time of purchase. 15% OFF merchandise purchase on non-sale retail items. Discount not valid on Stroller, Wheelchair & ECV Rentals, Cabana Rentals and Gem Mine. 15% OFF Royal Family Photos and Ride Photos. 15% OFF Life's a Beach face painting and hair wraps. Must show valid season pass at time of purchase. 20% off Old Mill Stream Campground site fees. Advanced reservations are required. Subject to availability. Excludes cabin rentals. Must show valid season pass at time of reservation. Free admission to Idlewild & Soakzone in Ligioner, PA when you show your Premium Season Pass. Visit www.idlewild.com for complete details. $10 off admission per person at Kennywood when you show your Premium Season Pass. Receive $10 off full one-day admission at Hersheypark upon presentation of a Premium Season Pass at time of purchase. Valid for Season Passholder only during the regular summer public operating season (May-Sept.). Not valid on Twilight admission, Hersheypark in the Dark, Christmas Candylane or in combination with any other discounts or special admission plans. Your season pass certificate must be presented for redemption at the Dutch Wonderland Family Amusement Park Guest Services/Season Pass Office. Your photo will be taken for use on your pass; therefore, season pass certificates must be redeemed in person. Renewing season passholders will use their previous season pass card during redemption, and will not need to have their season pass card replaced. Season pass must be redeemed during your first visit to the park. Season Pass benefits/discounts are valid only after the Season Pass has been redeemed. Season Passes must be redeemed prior to gaining access to the park and benefits offered. Season passes may be redeemed during off season business hours (see hours below). Please allow a one hour wait time if redeeming season passes on a Saturday or Sunday prior to Memorial Day Weekend. Present your season pass at the entrance of Dutch Wonderland. Once your pass is scanned, you day at Dutch Wonderland begins! Please be sure to get your hand stamped upon exiting the Park if you plan to re-enter later that day. Passes may only be scanned once per day. If you need to change your address, please contact the Guest Services Office at 1-866-FUNatDW or by mail with your new address information. Be sure to identify yourself as a Season Passholder and include your Season Pass number. It is the responsibility of the Season Pass hold to be familiar with Dutch Wonderland Safety and Security Guidelines. Deviation from these guidelines may result in the revocation of the Season Pass without compensation. Your picture will remain on file and will be checked, should a duplicate pass be necessary. Your Season Pass is non-transferable and may only be used by the person whose picture appears on the Pass. There are no refunds or exchanges on Season Passes. Passes used in violation of any of the listed policies may be revoked by the issuer at any time and shall remain the property of Dutch Wonderland. Season Pass (“Pass”) is valid for one daily admission to the park referenced on the front of this Pass (“Pass”) by the registered holder of the Pass (“Passholder”) during the identified season, during regular operating hours. Presentation of this Pass by anyone other than the Passholder is a criminal offence. Pass is only valid if purchased from the company owning or operating the Park (“Company”) or authorized ticketing agent. Passholders who must re-enter the Park must use hand-stamp system. Days and hours of operation are subject to change without notice. Pass is not valid for admission to catered or private events. Admission to certain rides, shows, attractions, special events and concerts may require additional charge or reservations, or be subject to height/age safety restrictions. Parking, food, merchandise, games and arcades require additional charge. The Park reserves the right to temporarily deny admission to Passholder in the event Park capacity limits have been met or for other circumstances which the Park may deem appropriate. Company may expel Passholder and may revoke Pass without refund for any of the following: disorderly, disruptive, inappropriate or offensive conduct, clothing markings or language; possession of a firearm or other instrument that could be used as a weapon/fraudulent use, alteration or reproduction of Pass/breaking posted or printed Park rules or breaking the law; or anything the Company deems could compromise the safety of the Park guests or employees. Passholder grants Company, its licensees, its corporate partners, its affiliated entities and its respective officers, directors, shareholder, agents, employees and representatives (“Companies”) the right to use Passholder’s name, photograph, voice, or likeness in any advertising or promotional materials, in any and all media, including Companies’ web site, without notice, payment or consideration and without regard to alterations. PASSHOLDER RELEASES COMPANIES FROM ANY AND ALL CLAIMS, DEMANDS, CAUSES OF ACTION, LOSSES, EXPENSES, COSTS AND LIABILITIES, OF ANY NATURE WHATSOEVER WHICH PASSHOLDER MAY HEREAFTER INCUR OR HAVE AGAINST ANY OF THEM WHICH MAY ARISE OUT OF OR IN CONNECTION WITH THE PARK OR ANYTHING OCCURING ON PARK PREMISES, INCLUDING THOSE ARISING OUT OF COMPANIES’ NEGLIGENCE. Did you know that you can update your Dutch Wonderland Profile?